If you don't have used Treasured yet, please Cancel and "Add Damaged Clip"
Click to send a Repair Request and let our technicians confirm repairability. Plan selected above can be modified later based on your needs. This message contains a link that you have to click to activate your account. How should this machine be referred to? Must be a playable video recorded with the same settings as the damaged clip. If none of the pictures above look good, you can provide a "good file" to help Treasured. It takes only only a seconds to retry. Otherwise you can send a sample to our technicians, who will probably be able to show a preview of the video. "Improve Preview" is only available just after clip diagnostics. Adding more clips will be possible after you have created your account. Creating an account takes only two minutes. Accounts are free and allow you to add more clips to your cart, and to verify the repairability of your videos. The sample of your source clip will be examined by our technicians. We will contact you by email in a few hours. You can continue using Treasured on other clips, but it is not necessary to send more samples for the moment. Treasured uses HTML5 technologies that don't work properly on mobile devices. Treasured uses HTML5 technologies that don't work properly on this browser. Treasured application is temporarily down for maintenance. We are performing scheduled maintenance. We should be back online shortly. Receive an email notification when Treasured is back. Treasured technicians have suspended your account. Account suspension may sometimes be reverted. Your account is temporarily locked. Treasured technicians are performing some changes to your account at this moment. This usually takes only a few minutes. Your account is now controlled by the web application. Time of start is 19:52:24. If you haven't taken control through your web credentials, you should use the button below to take over, and disallow Remote Control in Toolkit screen. After payment is validated, this page will automatically refresh to let you download repaired videos. A delay of few minutes after check-out is normal. We recommend that you repair your files first, then pay. You can continue repairing after payment, but you cannot add new clips. Contact us if you have any question about repair or payment. For your security, web browsers cannot access files on your PC unless you locate them explicitly. To reconnect a file, just select it and click Open in the File Picker. Files will remain connected until this page is closed or reloaded. You can connect several files at once, for example selecting all files in a folder. ... but is not found at this location. Disk/Card containing the file is not connected. File has been renamed or moved. Below 1 MB, it is very rare to have video inside a file. Please try with a bigger damaged file - or - confirm that it's a damaged audio file without video. Below 10 kb, it is impossible to have audio or video inside a file. Before you can sign-in, Treasured needs to complete the diagnostics of a damaged clip. If Treasured doesn't find media (audio or video) inside the clip, you will try another one. If you don't have a damaged clip with media inside, please contact us. To switch to another job, please wait until the tasks are complete. If you prefer not to wait, you can cancel the tasks in the queue. Cannot use this file as "good file"! Only playable videos inside 3gp mp4 or mov containers can be used as "good file". Same File for Good and Bad? You have picked the corrupt video as "Good File" to improve preview. Please find a good file recorded with the same settings as the bad one, if you really want to improve this preview. A good file should have a .3gp .mov or .mp4 extension and be playable. 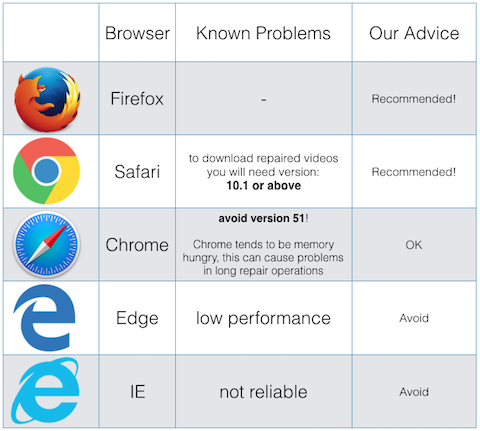 Due to technical limitations, Safari cannot download repaired videos. 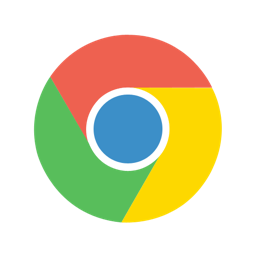 Please use a recent version of Chrome, Firefox or Internet Explorer, navigate to this page and press Download to retrieve your videos. Please try again. If the problem persists, please contact us. To maximize chances of success, we recommend to avoid irregular clips for batch repairs. Use "Queue Manager" to change order of clips, cancel or receive a notification when batch repair ends. Only accessible clips will be included anyway! Please wait a few minutes. If this warning doesn't disappear, consider aborting and starting over. Whenever possible, your repair will continue at the point it stopped. Note that if you abort, the pending tasks in the queue will also be cancelled. Contact us if the problem persists. File contains audio/video but with other format or settings, so Treasured needs to be reconfigured. Please contact us to find a solution. Please abort and start over. Another Repair is already Running! Treasured can only repair one file at a time. Please check if you don't have it running on another device, browser, window or tab. You can't repair from this tab unless you abort the other repair first or you wait until it ends. After "Abort", you will be able to continue repairing from the point it has reached, or start over. This clip may not have the same video and audio properties as the job, and the Repair Kit may not work. You can try to repair the clip anyway, but funny results are to be expected. To sign out, please wait until the tasks are complete. No Repair Kit for this job! This operation requires a Repair Kit, but it hasn't been developed yet. Have you already confirmed that you are interested in getting the clips repaired? Please contact Aero Quartet technicians. Treasured has determined that this clip has the same properties as the sample that you have sent previously. Sending a sample of this clip would not give us any new information. With this information, we should be able give an helpful answer within a few hours. New Clip will be created in Job specified above by grouping the selected slices. To inspect or repair this clip, you will need to navigate to the other job. You can ungroup the slices to make them available again for grouping. This will not affect the clips existing in others jobs. You have selected a slice that corresponds to the footage you wish to repair. Treasured will now send a sample of this slice that will be used to provide a quote and a preview. How would you like to add a Clip? DeepMediaScan has produced a "Disk Map" that contains all the media present on the disk/card. You can now define a clip by selecting slices in the Disk Map and grouping them. DeepMediaScan cannot scan this disk! To scan a disk or a card at low level, DeepMediaScan requires administrator privileges. To grant permissions, please enter an administrator password on your Mac when prompted to do so. Permissions will be required again after a computer reboot, or after reconnecting the disk or card. Once DeepMediaScan is created, scan will start automatically. This account is being used from another location at this time. You can only operate this account from one location. To use the account from this window, users from other locations will have to be disconnected first. Tasks currently running and tasks in queue in other locations will abruptly be cancelled. By closing this page now, other locations will not be affected. This video format cannot be displayed in full screen mode by this browser. Just launch it, then log into your account (using the URL below) and you are ready to continue! Only accessible clips are included! Later, with "Queue Manager", you can change order of downloads, cancel them, or receive a notification when batch download ends. 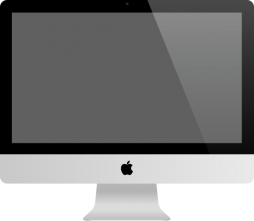 Macintosh® users can choose between native and web applications. Both have similar capabilities, and identical service level and pricing. Treasured, the native app, is recommended for Mac users. This function is only available after payment. User Tags can contain letters and numbers grouped in a single word. New tag will be applied to selected clip. After a few seconds, your Mac running Treasured will have control again. If you want to operate it remotely again, please reload this page. Connection to remote agent was not possible. This job cannot be operated. Once job is created, a sample of the clip will be sent to Aero Quartet. Your account will be available in a few seconds. Please fill in the form below to better assist us. Treasured web repair tool uses a cookie. This cookie is a technical requirement for the tool to work. Treasured requires a minimum screen width of 1024 pixels. Video may not work if codecs are not available. Use Pictures instead. Render mode choice will not affect repair quality.